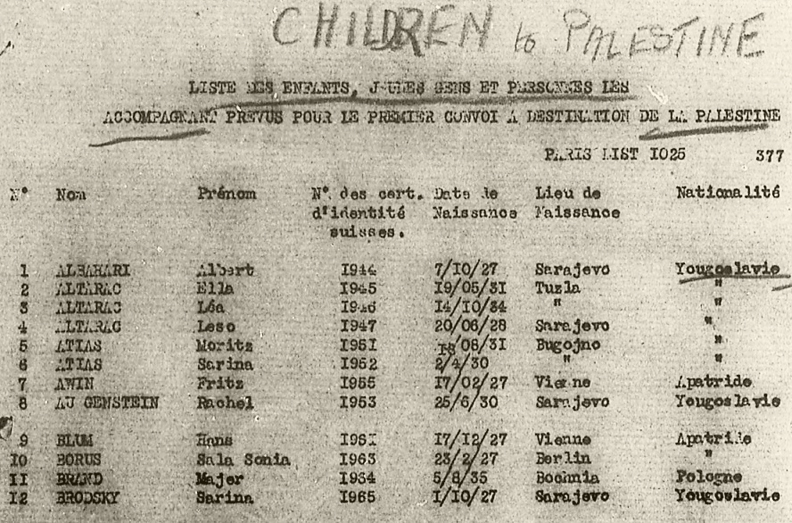 Several lists of refugees assisted by JDC from 1944 to 1949 now indexed. Refugees who immigrated via North Africa to Palestine, 1944. Passengers on the Turkish ship SS Kazbek who received JDC aid 1944. Children on the first postwar convoy from France to Palestine, 1945. Births to Cyprus detainees, 1948-1949. Phases of Operation Magic Carpet Yemenite Airlift, December 1948-July 1950. 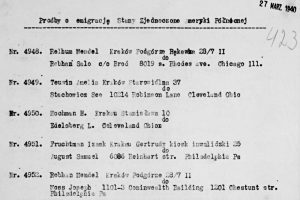 Read about our efforts to index the extensive lists of Yemenite Jews, and learn about our partnership with the Israel Genealogy Research Association (IGRA) to translate the names from English to Hebrew here. The eight lists currently indexed reveal a treasure trove of genealogical information. Apart from names, you may find a person’s age, date of birth, place of birth, nationality, group affiliation (such as pioneers), family status, and even such detail as one’s weight. These lists offer a wealth of other information, too. They speak to the journeys of Jewish refugees from their homes to ports of embarkation onto ships, or to camps whence they were airlifted. 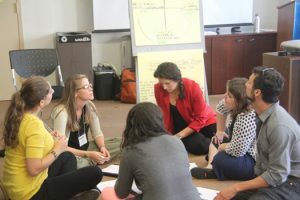 We learn about the cooperation among JDC, local relief committees, religious authorities, and governmental agencies in organizing the departure, and thus rescue, of Jews. And we learn about the stages of emigration to Palestine, and later Israel, which illuminate how these immigration waves affected the makeup of the country.